Our long drive from the Apostles to Adelaide took us through Mt. Gambier where we stopped for a tour of the magical Blue Lake. 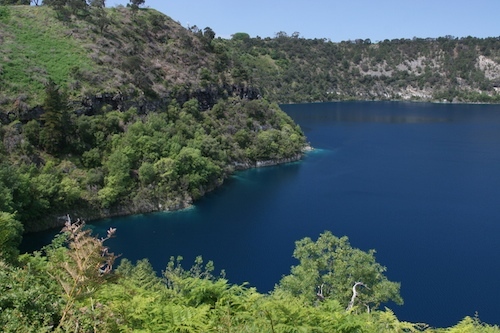 It is located in the crater of an extinct volcano and is well known for its annual color change from grey in winter to a crystal blue in summer. Even though we were too early to see it in its full splendor, the blue was really quite impressive, as you can see from this untouched photo. 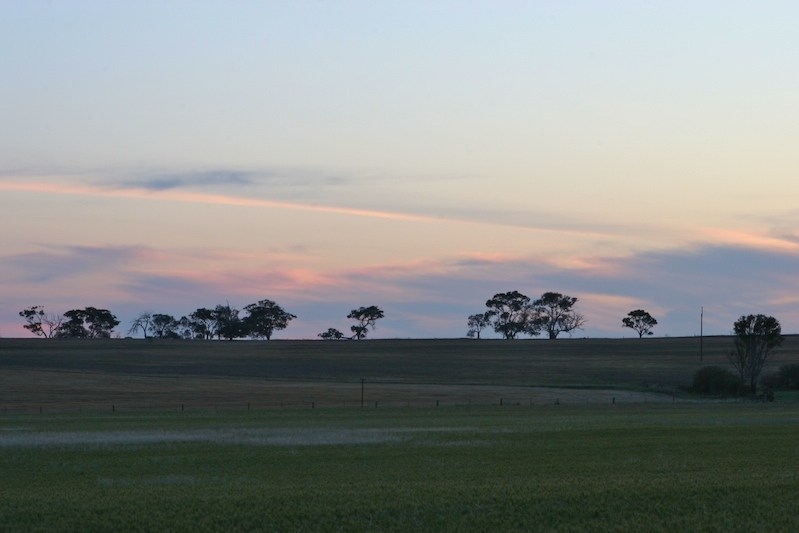 By the time we got to Adelaide, the sun had set, but about 50km from the city, we again saw some beautiful colors in the skies. At long last we arrived at my friend Keith Neighbour's house. He and Gudrun treated us to a superb lamb roast dinner. It had been six years since we had last seen each other, so we had a lot to catch up on. After a good night's rest, Keith cooked us a hearty Australian breakfast, and the kookaburra was fed some healthy kangaroo meat. 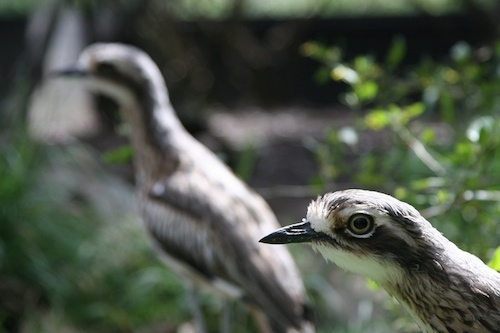 To satisfy our wishes to see some Australian fauna up-close, Keith and Gudrun suggested we take a tour of Cleland Wildlife Park, overlooking Adelaide from atop the aptly named Mount Lofty. Lenny bought some animal food and got to feed the kangaroos. 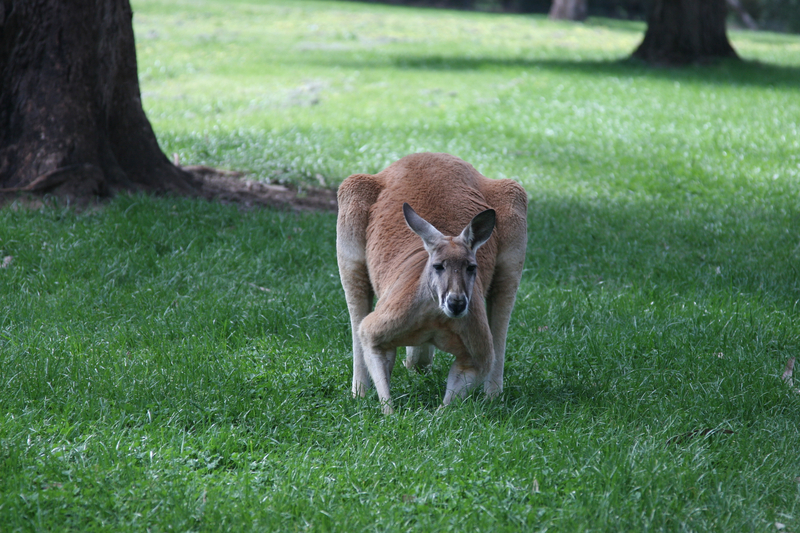 And we were surprised to find that kangaroos actually exhibit complex and varied behavior well beyond their famous high jumps. When we returned from our excursion at the wild animal park, Keith took us on a tour of downtown Adelaide to show us some of the buildings he had architected. We were truly impressed by his work and just how many buildings owed their existence to his firm. The Hilton Adelaide was particularly impressive and hosted Keith's 90th birthday party this year! That evening, Keith and Gudrun took us to the Top of the World revolving restaurant, where in addition to the spectacular 360-degree view of Adelaide, we had the best seafood ever. The next day Keith took us to Victor Harbor and Goolwa, the town where he grew up. He treated us to awesome traditional Australian pie and pasty, and we had a lovely picnic and listened to the magpies. 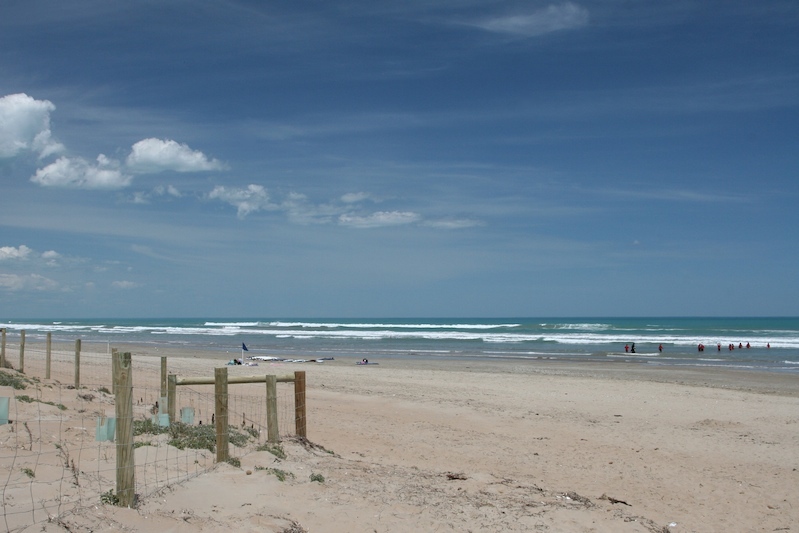 We concluded with a short trip to Goolwa beach, unarguably the most pristine beach in Australia.